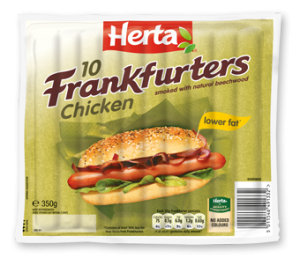 Herta Foods is a brand name that has been in existence for over a century, popular for the delivery of delicious hot dogs. The brand is based in Frankfurt and is owned by Nestle. Herta brand has been trusted over the years with utmost satisfaction and has also been used as a way of expressing one’s love for others. The name behind this food brand is Ludwig Schweisfurth, who in 1902 owned a butcher shop in Herta, where the brand name originated. Through the delivery of quality products and an expanding clientele base, Ludwig turned the butcher shop into a factory and by early 1960s, the products had already started to be marketed in Europe. Nestle acquired Herta in 1986 and raised it to become one of the most respected food brands in Europe in the 1990s. By the turn of the new millennium, Nestle Herta had recorded all time sales of more than $150 million. There are a number of different food products under the Herta brand all made similarly through careful methods of manufacturing and preservation. All ingredients for any Herta food products are carefully selected to ensure that the final product is as nutritious and healthy as it should be. All Herta products are manufactured to perfectly fit in with the demands of the market and busy lives by most of the clients. Some of the most common products that Herta brands offer include snacks, pie and pizza dough, cooking mixes such as cakes, meat and culinary ingredients as well. All these products perfectly suit any moment such as a movie out, picnic lunch and family nights out or dinners.